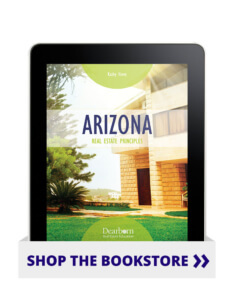 Arizona Real Estate Principles covers Arizona real estate license law, regulation, and practice. This title is designed to be used with Modern Real Estate Practice. Key differences between Arizona state law and common law are covered, and each unit contains multiple-choice review questions to test students’ knowledge of the material and help them prepare for the real estate licensing exam.